So I have had several people ask me why I called my blog “Turtle’s Crossing” if it is not only about turtles? Well, this title seemed to ring true to me for a couple of reasons. First the original idea for this blog was born one night while I was participating in my very first meeting with the Chelmsford Conservation Commission. I had recently moved into this new community and was feeling a little disconnected. One of the topics to be brought forth for the Commission to consider that evening concerned the loss of turtles that occurred every season when juvenile hatchlings encountered a vertical roadway curb in a residential neighborhood. The situation reminded me of Aldo Leopolds ecologically-based “Land Ethic” in A Sand County Almanac (1949), a work I had not thought of since college (trust me, a very long distant memory). 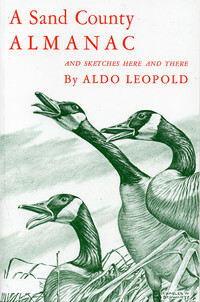 In this ground-breaking effort Leopold argued that there was a need for the evolution of a philosophy that would include consideration of nonhuman members of the biotic community which he collectively referred to as “the land.” He stated the basic principle of his land ethic as, “A thing is right when it tends to preserve the integrity, stability, and beauty of the biotic community. It is wrong when it tends otherwise.” In his approach we (Homo sapiens) go from a “conquerer” of the natural world to an equal member in something larger than ourselves, where we recognize the inherent worth of other beings (not just their utility for our purposes) and respect all forms of life and the community as a whole. Leopold’s work was one of the first philosophical pre-cursors to an ecological or systems approach such as the contemporary philosophy of “deep ecology” that emphasizes the interdependence of organisms within ecosystems and of ecosystems to each other. It deviated from the dominant philosophies of the day which included utilitarian, economic, egalitarian or libertarian, all of which are still very prominent today. The concern made me feel “welcome” in a new community with the awareness that an ecological land ethic was alive and well in Chelmsford. It reaffirmed for me that there are people out there that still care and possess the energy to find a solution and it is still possible to reach out with encouragement and mobilize these individuals or groups to make a difference. 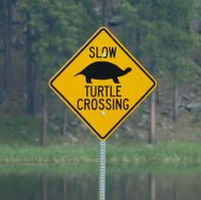 Unfortunately the turtle crossing signs installed to give motorists forewarning of the turtles did not survive the summer (that’s another story). But I digress. To finish answering the previous question, it seems that I, like the turtle during it’s breeding season, am being compelled by some unseen force of nature to take this literary journey. 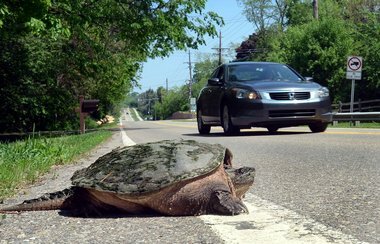 I am being driven by some innate biological ability similar to the turtle’s homing instinct to navigate in a particular direction towards a location such as a home territory or breeding spot. I clearly don’t quite know where I am going or why, just that I am heading in the right direction and that somehow I will know when I arrive at my destination. So here’s hoping that with a little luck maybe I won’t run into any curbs on my way and the trip will culminate in something nearly as special as the successful migration of the turtle.